This seems to have been the first sentiment of its kind in English. 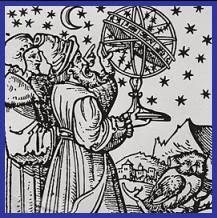 That there may be other solar systems with planets like ours had been suggested by scientists since the sixteenth century; in Hindu and Buddhist scriptures, there had been for millenia the religious concept of other worlds – - not other planets in the modern sense, but worlds that we would now say to be in other dimensions. Now the two ideas could be knitted together. As well as talking to the spirits. Swedenborg was given a guided tour of the kingdoms of heaven, and taught the doctrines of the spirits: he denied that angels were created as such, but that, rather. “there are no Spirits and Angels, but what were of the Human Race”; spirits and angels were formerly human, but have evolved into higher beings. “That there are several Earths [i.e. planets), and Men upon them, and thence Spirits and Angels, is a thing most perfectly well known in another Life, for it is there granted to every one who desires it from a Love of Truth and consequent Use, to discourse with the Spirits of other Earths, and thereby to be confirmed concerning a Plurality of Worlds, and to be informed, that the human Race is not confined to one Earth only, but extends to Earths unnumerable..."
"He who believes, as every one ought to believe, that the Deity created the Universe for no other End, than that Mankind, and thereby Heaven, might have Existence, (for Mankind is the Seminary of Heaven) must needs believe also, that wheresoever there is any Earth, there likewise are Men-Inhabitants." Though the actual term New Age has only been regularly used since the 1950s, there has been a recognisable movement ever since. The most important development in the nineteenth century was the advent of the Theosophical Society, whose founder, Madame Blavatsky, presented a syncretistic system combining elements of many religions as being her picture of the "whole truth". Now, such a belief system can keep on growing, since in a religion filled with strange beings and way out worlds, there is always room for more. Much of Blavatsky's key work Secret Doctrine was taken up with the theory (derived in some obscure way from Hindu scripture) of the seven "root races" of humanity, of which we are the fifth. The fourth race had lived on Atlantis, and the Third on Lemuria, these two being lost continents of the Atlantic and Pacific respectively. Atlantis, whose legend goes back at least as far as the time of Plato, had recently been publicised in a book by Ignatius Donnelly; Lemuria had been postulated as a former Pacific continent, originally to explain the distribution of lemurs; later, Haeckel suggested it had been the cradle of the human race; so that her theory appeared to harmonise new and old, science and religion. The nineteenth century craze for spiritualism had led to a much larger number of scriptures and inspired writing becoming available. In about 1880 a New York dentist named John Henry Newborough purchased a typewriter on the instruction of angels who had materialised in his bedroom. 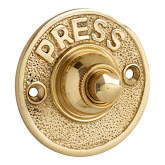 Each morning he would sit for an hour with his fingers on the keys, and by automatic typing produced Oahspe, which purported to be a true version of the Bible. (11) The book describes special ships called airavagnas, that 'fly through the heavens. They are not material, but are used to transport the Gods and angels between the heavenly worlds: "As mortals sail corporeal ships across the corporeal ocean, so sailed the ship of God in the atmospherean ocean." (12) Nevertheless this was a step towards the idea of spacecraft. Typically, the Self-Realization Fellowship, established in the state from 1925 by the Indian guru Paramhansa Yogananda, regarded all religions as valid, though it mainly taught Yoga. The Self Realization Church of All Religions was built at Hollywood in 1942, which contained statues of Lahiri Mahasay and Sri Yukteswar (Yogananda's own teachers), along with Krishna. Buddha, Confucius, Moses, Christ at the Last Supper, St. Francis, and, since Moslems do not make statues of Mohammed, a picture of the Kaaba at Mecca. (14) Thus, the typical Californian cult combined elements from many religions. Around 1930 there arrived in the state a Polish immigrant whose business card described him as: "Prof. G. Adamski, Speaker and Teacher of Universal Laws and the Founder of Universal Progressive Christianity, Royal Order of Tibet and the monastery at Laguna Beach, Headquarters, Hotel Castle Green, 99 S. Raymond Ave., Pasadena, California." In 1883-6 Frederick S. Oliver, then a teenager living with his parents near Mount Shasta in northern California, penned a lengthy manuscript entitled A Dweller on Two Planets. Oliver stated in the "Amanuensis' Preface": "I do not believe myself its Author, but that one of those mysterious persons, if my readers choose to so consider him, an adept of the arcane and occult in the universe, better understood from reading this book, is the Author". Rather, an entity called Phylos the Tibetan had dictated it to him at sporadic intervals, in nighttime sessions of up to a few hours. Whoever the author may have been, what he wrote tended to confirm the beliefs of the Theosophists and New Agers. More than half the narrative concerned the author's past life as Zailm, an Atlantean, with many details of that civilisation. They had developed "vailxi", aerial ships of torpedo shape which could travel at hundreds of miles an hour (an incredible speed in the 1880s). A more recent incarnation was Walter Pierson, a modern American who had fought at Missionary Ridge in the Civil War. He then went to California where he met a Chinese named Quong who had strange powers. People do not know, the author says, that the face of Mount Shasta (in the sight of which the book was written) "conceals a doorway. We do not suspect this, nor that a long tunnel stretches far away, far into the interior of majestic Shasta. Wholly unthought is it that there lie at the tunnel's far end vast apartments - the home of a mystic brotherhood, whose occult arts hollowed that tunnel and mysterious dwelling..."
Pierson's Chinese friend gave him access to the hideaway of this "Lothinian Brotherhood", and initiated him into its secrets. He was taught that the human race evolved through seven planets (with seven races on each planet), of which this is the fourth. The first two are invisible to us, the third was Mars, the next will be Venus, and the last two are likewise invisible. Already "the more advanced, occult souls do inhabit Venus". (17) Pierson, or Phylos (his future name, he was told) was allowed to visit Venus in his spirit body. Though nowadays sightings of domes associated with strange lights would be taken as evidence for flying saucers, rumour then had it that they were the work of people living inside Mount Shasta, who were Lemurians, survivors of the sunken Pacific continent of Lemuria. Lanser also repeated stories that the Lemurians sometimes appeared in neighbouring towns, dressed in long white robes, to buy supplies, which they paid for with gold nuggets. In August 1934, by which time Pelley was having problems with the law, two disciples, Guy and Edna Ballard of Chicago, began to publish their own messages from beyond, ascribed to one 'Saint Germain'. Historically, the Comte de Saint Germain was an eighteenth century French adventurer who claimed to have discovered the elixir of immortality and to be thousands of years old, but this Saint Germain was an 'Ascended Master', that is, in his last life he overcame the flesh and bodily rose to the next world rather than dying. They were quickly able to attract followers from the Silver Shirts, Pelley's treasurer becoming the Ballards' Associate Director, a post that he held until, despite being under the personal protection of the Ascended Masters, he was seriously injured in a car accident. Gerald Bryan, author of the highly critical study Psychic Dictatorship in America, pinpointed several other plagiarisms from occult novels, including Will Carver's The Brother of the Third Degree, 1894, which featured the Comte de St. German, Lillian Elizabeth Roy's The Prince of Atlantis, 1929, and Maude Lesseuer Howard's Myriam and the Mystic Brotherhood, circa 1920. In short, the book was basically a stew of ideas which had already been circulating for years. Unveiled Mysteries was followed by a series of progressively more tedious sequels, in the first of which, Magic Presence, repeatedly spoke of the: "Mighty I AM", and the Ballard movement came to be known as "I AM". The phrase appears to derive from the King James Bible, where God says to Moses: "This shalt thou say unto the children of Israel, I AM hath sent me unto you" (Ex.3:14) but it may also come from Phylos's term for the true self, as distinguished from the shells it may inhabit: "Though the astral shell shall come into spiritualistic circles and manifest through mediums, yet the I AM comes not into any earthly condition until it returns for reincarnation". (25) According to Bryan it was also commonly used in Baird Spalding's Life and Teaching of the Masters of the Far East. On New Year's Eve 1930 Saint Germain told Ballard: "Tonight an experiment is to be tried which has not been accomplished for over seventy thousand years." This involved a Cosmic Mirror which was apparently a sort of teleportation device, for after those present had meditated on the 'Oneness' of Venus, with Earth; a tremendous blaze of light flashed forth upon it, revealing a group of people in the far distance, who drew nearer. "Presently, twelve Guests from Venus stood in our midst, robed in white scintillating garments, surpassing all power of description. There were seven gentlemen and five ladies, all extremely handsome." (27) They spent the evening exchanging information and playing musical instruments. Guy Ballard left this world on 29 December 1939. His wife declared that he had ascended to join Saint Germain, but his death certificate more prosaically attributed his demise to heart disease and cirrhosis of the liver. After that the I AM movement declined, but did not expire: Edna Ballard continued to run it until her own death or ascension in 1971, and last time I was in Watkin's occult bookshop there was a complete set of the I AM discourses prominently displayed on one shelf. 1. Jacob Ilive. The Oration Spoke at Joyners hall in Thamesstreet, London, 1733, pp. 1. 8. 2. Thomas Hartwell Horne, Bibliographical Notes on the Book of Jasher, London, 1833. 3. Jacob Ilive, Reasons Offered for the Reformation of the House of Correction in Clerkenwell, London, 1757. 4. Account “taken from Mr. Shearsmith, by Robt. Armitstead. London, Dec. 20th, 1810″, quoted in William E. A. Axon, Was Swedenborg a Vegetarian? (pamphlet, text of paper read at the Vegetarian Society, Manchester. 18 October 1909). 5. 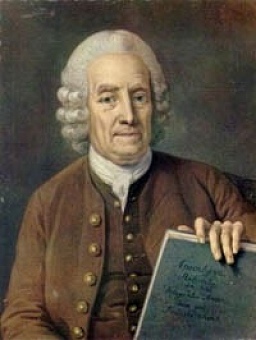 Emanuel Swedenborg. Concerning the Earths in our Solar System, London. 1787, pp.3, 4, 144. 6. Swedenborg, Concerning the Earths in our Solar System, p.125. 7. H. P. Blavatsky, The Secret Doctrine. Theosophical Publishing House, London, 1921, Volume 2, pp.18-21. 8. Annie Besant & Charles Leadbeater, Man: Whence, How and Whither, Theosophical Publishing House, Adyar & Madras, 1913, pp.79, 101-3. 9. Yogi Ramacharaka, Fourteen Lectures on Yogi Philosophy, Oak Park, Illinois. 1903, pp.237, 239. 10. Francis King, Ritual Magic, New English Library, 1972, p.125. 11. John Keel, UFOs: Operation Trojan Horse, Abacus, 1973, pp.246-47. 13. David Hanna, Cults in America, Tower Publications, New York, 1979, pp. 133-5. 14. Parahamsa Yogananda. Autobiography of a Yogi, Rider, London. 1949, pp.389-90. 15. Max Heindel, The Rosicrucian Cosma-Conception, Oceanside, California, no date, p.190. 16. Lou Zinstagg & Timothy Good, George Adamski: The Untold Story, Ceti Publications, Beckenham, 1983, plates 4, 49. 17. “Phylos the Tibetan”, A Dweller on Two Planets, reprint by Steiner Books, pp.14, 248, 310. 18. L. Sprague De Camp, Lost Continents, Dover Publications, New York. 1970, pp.71-2. 19. W. S. Cervé, Lemuria: The Lost Continent of the Pacific, Rosicrucian Library Volume XII, Rosicrucian Press, AMORC College, San Jose, California, 2nd edition 1935, pp.254-5. 20. Quoted in Lewis Spence, The Problem of Lemuria, Rider, London, 1932, p.104. 21. Gerald B. Bryan. Psychic Dictatorship in America, Truth Research Publications, Los Angeles, 1940; pp.26-27. 22. Martin S. Kottmeyer, ‘Jelly Pelley’. Magonia Supplement 39, 1 July 2002. 23. Bryan, Psychic Dictatorship in America, pp.41, 47. 24. “Phylos the Tibetan”. A Dweller on Two Planets, pp.270-3. 25. `Godfré Ray King’ (Guy Ballard), Unveiled Mysteries, Saint Germain Press, Chicago, Illinois, 1935, p.75. 26. “Phylos the Tibetan”, A Dweller on Two Planets, p.292. 28. Bryan, Psychic Dictatorship, pp.54-55, 59-61.